Speculation has been running wild for months as to how much the major social media channels impact organic search. The recent partnership between Bing and Facebook followed closely by Google incorporating sharing into their search results has only fueled the fire. Google and Bing: Get their feed from the Twitter “firehose” which does not include “nofollow” tags. i.e. Links shared on Twitter have some weight as backlinks. Google and Bing: The number of times a link is tweeted, shared and retweeted has a direct effect on the results in organic and news rankings. Google and Bing: Calculate the authority of individual users on Twitter. 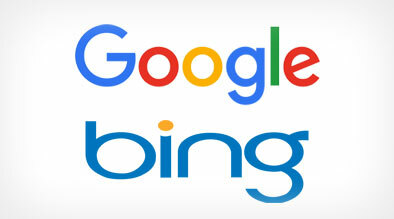 Google and Bing: Give more weight to links based on who tweets it. Bing: Links shared publicly (on Fan Pages or profiles) influence ranking similar to Twitter. Google: Links share on Fan Pages, but not on profiles, influence ranking similar to Twitter. Bing: Does not calculate the authority of users or Fan Pages on Facebook. Google: Calculates authority of links shared on Facebook Fan Pages, but not anything shared on profile Walls. Bing: Gives more relevance to links that are shared on both Twitter and Facebook. Bing: Their access to Facebook “Like” data is only being used to impact social search results, not ordinary web search. While there are many nuances, the bottom line is this: the more your links are shared in the social media world, the weight they gain with search engine indexing. And as Facebook and Twitter gain even more momentum, it is safe to assume that links and information shared on these social juggernauts will continue to play larger roles in how search engines measure the quality of information available on the web. Thank you for this very useful information. Great way to dissect it and break it down! I had no idea that Google and Bing considered different aspects concerning authority and the use of individual profile pages. Thanks for your comment. It will be very interesting to continue watching the evolution of social media and search!